Everyone who has been a student at a university knows, what a good presentation looks like. It should be interactive, the speaker has to know what he wants to tell the audience; and the technological means used in the presentation have to be supporting, but not too prominent that they disturb attention. A lot has changed in presenting techniques. For a long time, PowerPoint was the tool to achieve the perfect presentation. 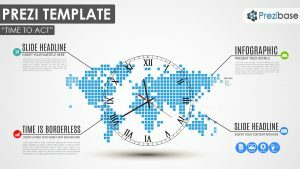 It enabled the presenter to visualize his data with digital and modern looking graphics, it had mind-blowing animations for the slides and their contents and it made supporting your message with images, videos or voice-overs easier than ever. 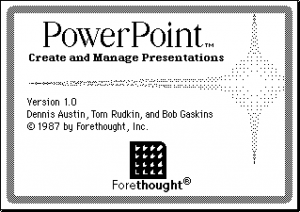 But since 1987, when PowerPoint was released by Forethought and bought by Microsoft, a lot has changed. “One more thing!”, the famous phrase used by Steve Jobs while presenting new Apple products and their simple presentations formed a new style of conveying information. Audiences started to expect certain levels of presenting. A harmonic mixture between a confident and professional speaker and a software that would entertain them when needed but stay in the background for the rest of the time. That is difficult to achieve with PowerPoint, a tool that is broadly usable, but in specific tasks neither reliable nor very practical. That’s why in the last few years, the market for new presentation software has boomed. One of the most famous new tools is Prezi, an intuitive and easy to learn software. It can be used to design presentations in many different and entertaining shapes. Prezi is free, it’s young, and especially for students it’s very comfortable to work with. Prezi has one big flaw: It draws all attention on the screen, the presenter himself becomes irrelevant as soon as the presentation is started. Especially in a lecture, this is rather contra productive. Survey tools are great to use for audience participation. In my work as a host, I have made amazing experiences with another type of digital gadget. To make audience participation as easy as possible, I looked for the best possible real-time survey tools. The first and simplest one I found is called “DirectPoll”. An online platform where you can create short surveys very fast, without any need for creating an account or having previous knowledge. That is quite useful, when you don’t have lots of time and want to ask the audience. For more complicated surveys with different question styles and more creative answers, I found SoGoSurvey to be the perfect tool in use. It’s relatively easy to create and start different surveys, but the best thing is definitely the broad variety of possibilities. SoGoSurvey offers personalized data equipped with your own logo, multimedia contents, quiz tools and an amazing real-time support. 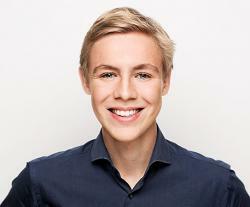 But that has its price: As a normal user, you have to pay 40$/month for the optimal subscription, as a student, you get a rapid discount or even free educational discounts. Be interactive, be open and trust yourself! Finalizing this blog entry, there are a few points I want to bring up to your mind. First: Presenting is about forming a connection to your audience. If you stand in front of a crowd and just rattle something off your chest, neither yours nor the audiences experience is going to be very good. Instead, try to find a good balance between discussing with the viewers and showing your knowledge. That resembles with the second point you should keep in mind when you are standing in front of a bigger crowd. You are the key figure on stage, not the nicely done survey or the amazing prezi on the wall. Neither of them helps you to bind your audience and make them listen to things you have to say. Instead, be confident about yourself: You know your facts, you are well prepared, and the people in front of you want to listen to the things you are about to tell them. So keep calm, structure your presentation and just do it. That’s what your professor thinks every day. And he makes it, too.